Third level students will be able to use the new style travelcard to get Leap Card fare on transport. GOOD NEWS FOR students around the country – the third-level student travelcard, which gives holders discounts on travel fares, will have Leap card-style capability this academic year. The new style student travelcard will let holders use pay-as-you-go travel on services in the Greater Dublin Area on Dublin Bus, Luas, Dart and commuter rail. Students will get the discounted Leap Card fare on services, including a discount of 18 per cent on DART services, 17 per cent on the Luas and 11 per cent on Dublin Bus. The National Transport Authority (NTA) told TheJournal.ie that it is working with transport operators to have the new card available from September, in time for the forthcoming academic year. A further development is expected to be rolled out in early 2013 when students will be able to load some existing student products onto the new travelcard, such as weekly and monthly tickets. Students will not have to pay the usual €5 refundable deposit that other Leap Card holders have to pay when they purchase the student travelcard. 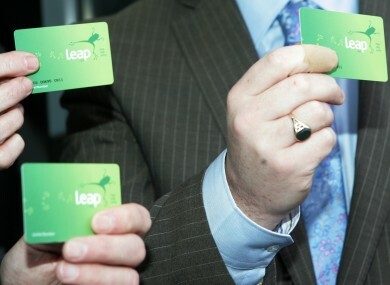 The Leap card system was introduced for Dublin and some suburbs in Meath and Kildare last December. Email “Good news, students: New travelcard will have Leap-style capabilities”. Feedback on “Good news, students: New travelcard will have Leap-style capabilities”.